Curtains to come down for the last time on the Love Bug! With German carmaker Volkswagen calling time on the Beetle, perhaps the most popular car brand ever, an 80-year-old slice of history comes to an end. Buffeted by falling sales -- at the peak of its popularity , the model sold a whopping 423,008 cars in the US in 1968, even inspiring a popular Disney film, The Love Bug, starring a Beetle named Herbie -- Volkswagen has announced that the assembly line at the last factory to make the car, in Puebla in Mexico, will fall silent next year. The US, the model's largest market, saw only 15,000 Beetles sold last year, just 5% of its sales figure for 2017, when it sold 339,700 cars. But such was the popularity it commanded at its heyday that Beetle will remain one of the biggest mass selling cars of all time, with 22.7 million vehicles sold across the globe.  This, despite its not too savoury origin as a car for the masses visualised by Adolf Hitler, when it debuted in 1938 as Volkswagen's first car model.  In the 1970s and '80s the Beetle became the car of choice for the baby-boomer generation in America, or those born in the post-Second World War generation, and an icon of the counterculture movement. It also featured in another Hollywood film in 1980, Herbie Goes Bananas. Volkswagen stopped the car's sales in the US in 1979 and production of the original Beetle was halted in 2003. An upgraded version with modern features came out in 1997, which saw a further upgrade in 2011, but it was clear that the "hippie car" had run out of gas. Here's capturing the car's 80-year-old legacy, and popularity, in photographs. 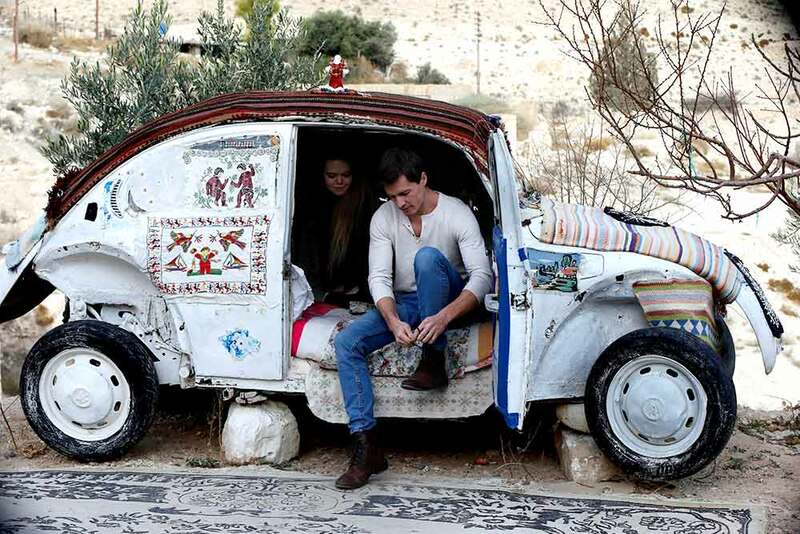 America tourists Stafford Newsome and Kaitlin Taft sit in a Volkswagen Beetle, the "world's smallest hotel" as its owner Mohammed Al-Malahim claims, in Shoubak, Jordan, on December 20, 2017. An old Volkswagen Beetle painted with truck art is seen abandoned in a parking lot in Islamabad, Pakistan, on May 30, 2017. 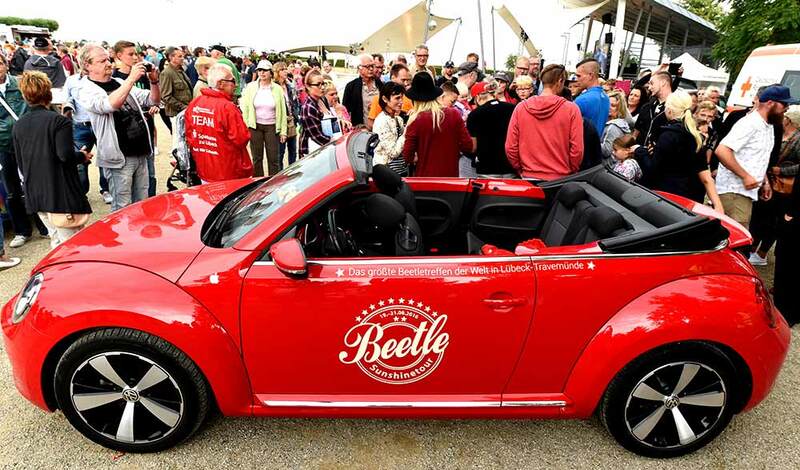 Visitors surround a Volkswagen Beetle car at the so-called 'Sunshinetour 2016' in Travemuende at the Baltic Sea, on August 20, 2016. 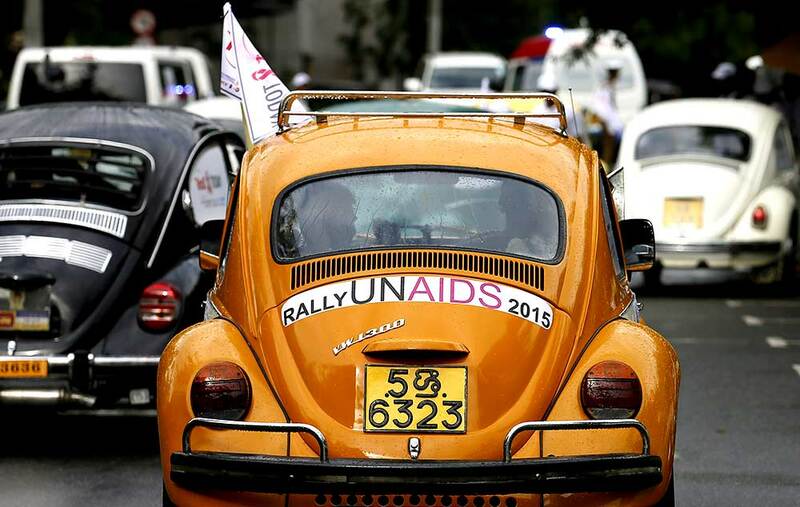 Volkswagen Beetle cars drive in a file during a 'World AIDS Day 2015' rally organised by Sri Lanka's UNAIDS in Colombo on November 28, 2015. 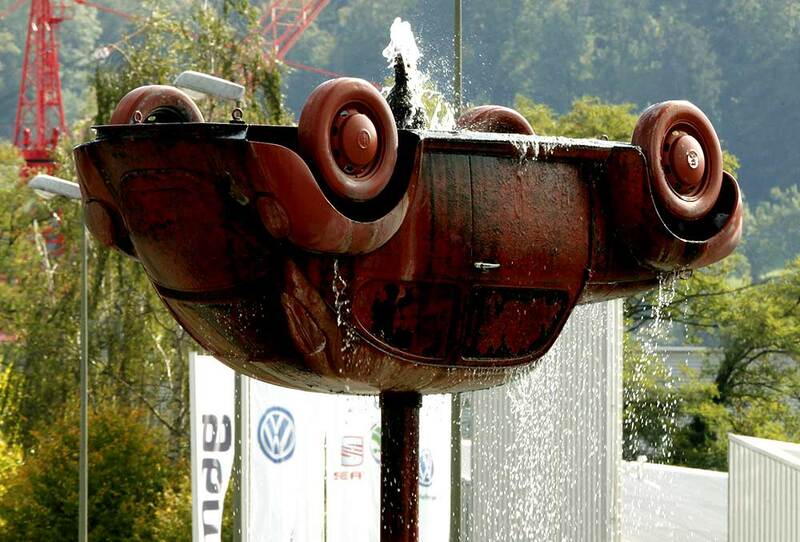 An upside-down Volkswagen Beetle car, part of a fountain sculpture in front of a branch of a Swiss Volkswagen importer, is pictured in the town of Buchs near Zurich, Switzerland, on September 26, 2015. Rene Penia sits in his VW Beetle 1995, locally called 'Vocho', while posing for a photograph with others in Monterrey on April 22, 2015. 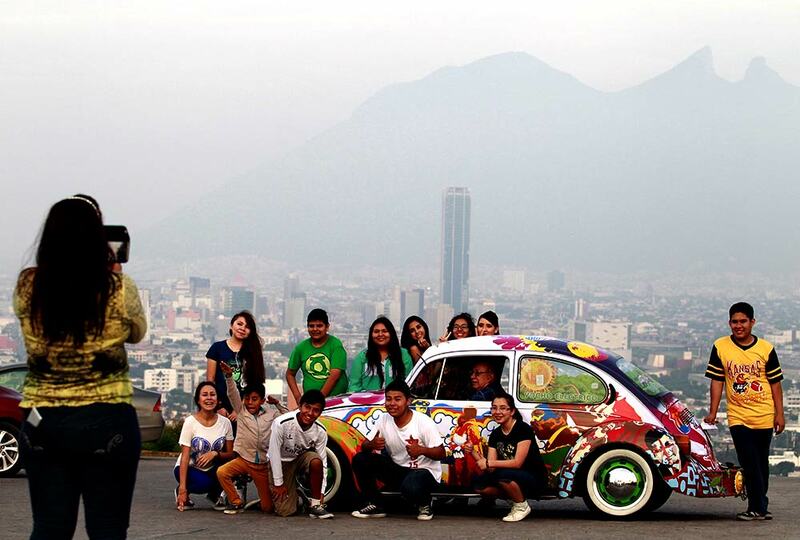 The car was painted by a local artist to be part of an exhibition on the 1960s at the National History Museum in Monterrey where it was on display for five years. Pena bought the car for 25.000 Mexican pesos in 2013 during an auction and he then converted the car into an electrical vehicle. 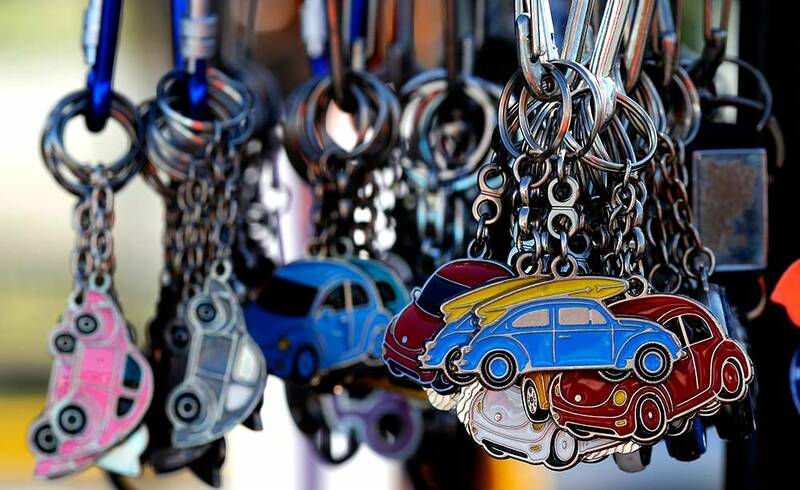 Volkswagen Beetle keychains are displayed during a Volkswagen Beetle owners' meeting in Sao Bernardo do Campo on January 25, 2015. Around 1000 Volkswagen Beetle cars took part in the event as part of celebrations marking Brazil's annual National Volkswagen Beetle day, which falls on January 20. Bosnian pensioner Momir Bojic cleans his wooden Volkswagen Beetle car in front of his home in Celinac near Banja Luka, on April 2, 2014. 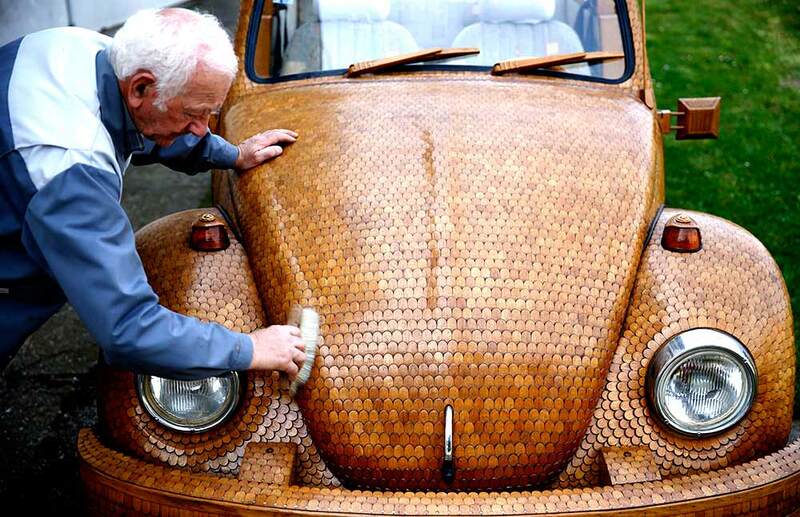 Bojic, an avid Volkswagen fan, created the car from over 50,000 separate pieces of oak and took two years to complete it. 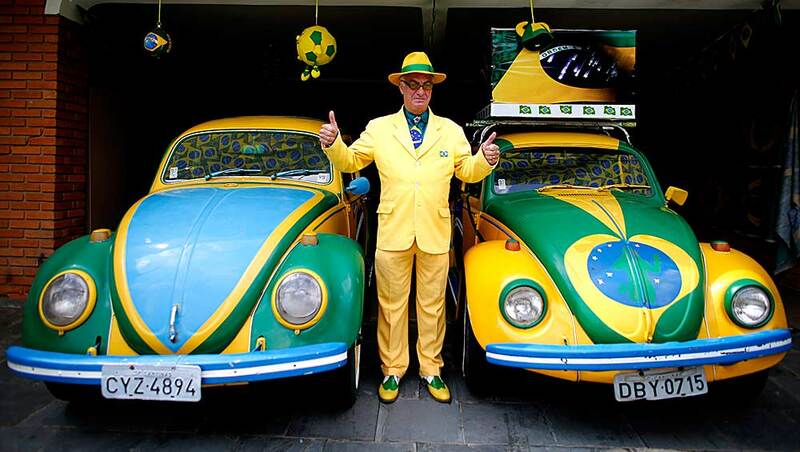 Brazilian attorney, Nelson Paviotti, poses with his two Volkswagen Beetles painted with the colours of the national flag -- green, yellow, white and blue, at his home in Campinas, Sao Paulo state, on April 9, 2014. Paviotti claims he has worn clothes of only those colours as he promised to do if Brazil won the 1994 World Cup, which it did. 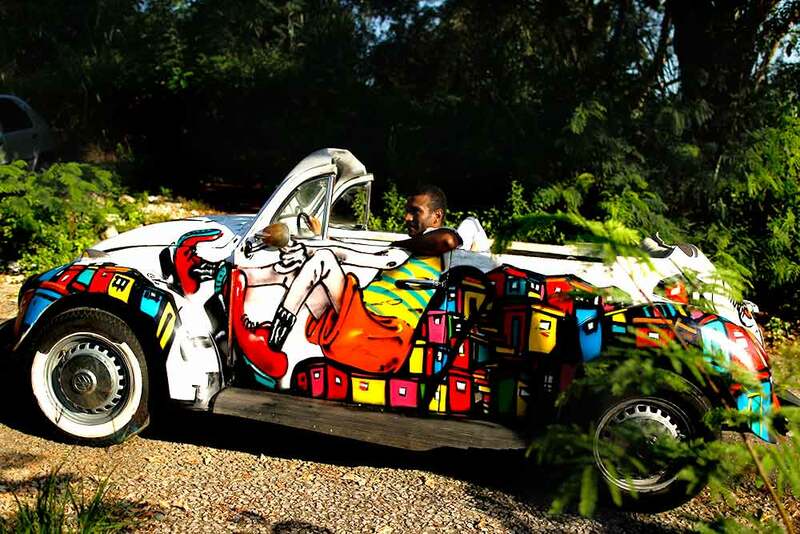 Art collector Andrei de Lima drives his 1972 Volkswagen Beetle decorated with graffiti depicting a hillside favela in Rio de Janeiro, on March 12, 2013. The back of a 'Vochol' Volkswagen Beetle is seen during a presentation at the VW 'Autostadt' in Wolfsburg, on December 6, 2012. The Vochol is decorated with beadwork of the Mexican Huichol people. 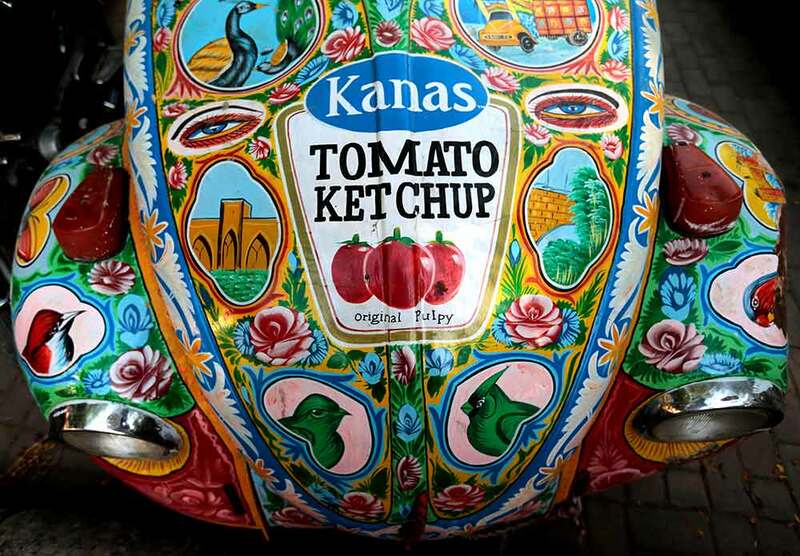 The name is a combination of 'vocho', a popular term for VW Beetles in Mexico, and Huichol. 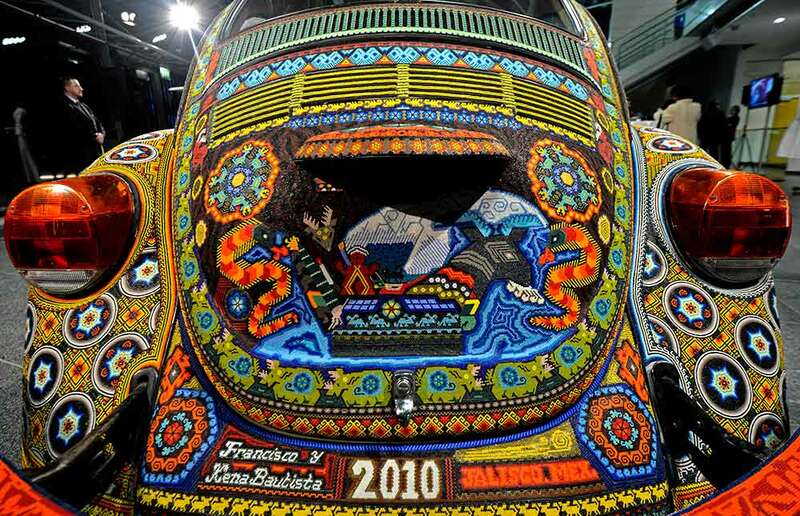 The Volkswagen was covered in 2,277,000 beads applied by eight artisans from two Huichol families in an exclusive design based on Huichol culture. 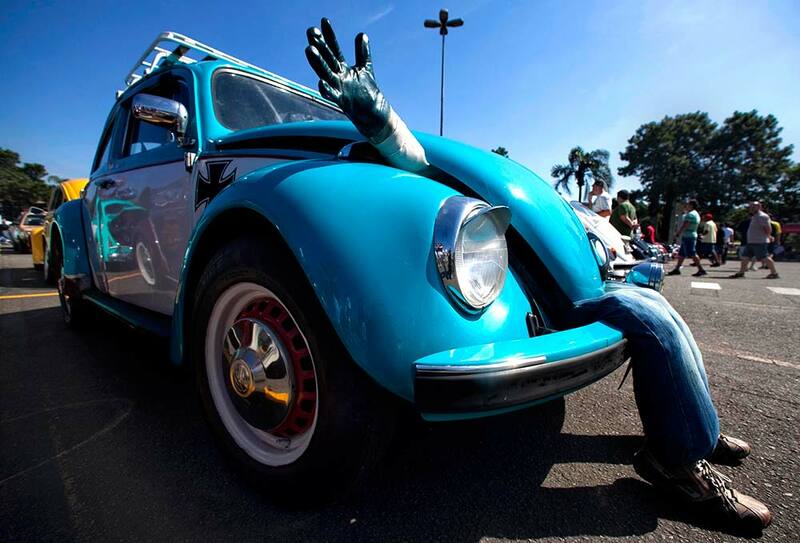 A toy inside a Volkswagen Beetle is seen during the celebrations of the National day of the Beetle in Sao Bernardo do Campo on January 23, 2011. Owners of Volkswagen Beetles come together during this annual event which celebrates the car's history in Brazil's automobile industry. 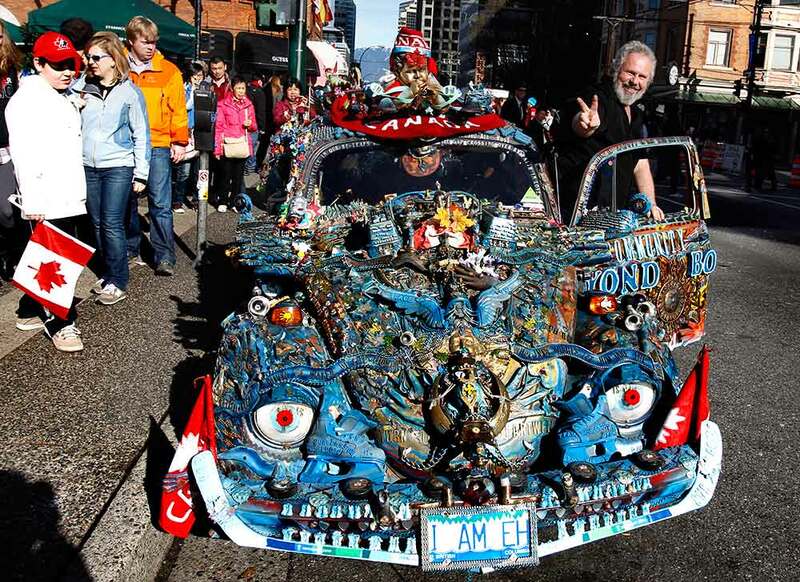 Vancouver resident Mark Heartwell parks his modified VW Beetle downtown during the Vancouver 2010 Winter Olympics, on February 19, 2010. Look-alikes of Marilyn Monroe and former East German communist leader Erich Honecker pose with new Volkswagen Beetles in front of the Brandenburg Gate in Berlin, on September 21, 1999. Some 100 lookalikes posed to celebrate the 100-millionth vehicle produced by Volkswagen. 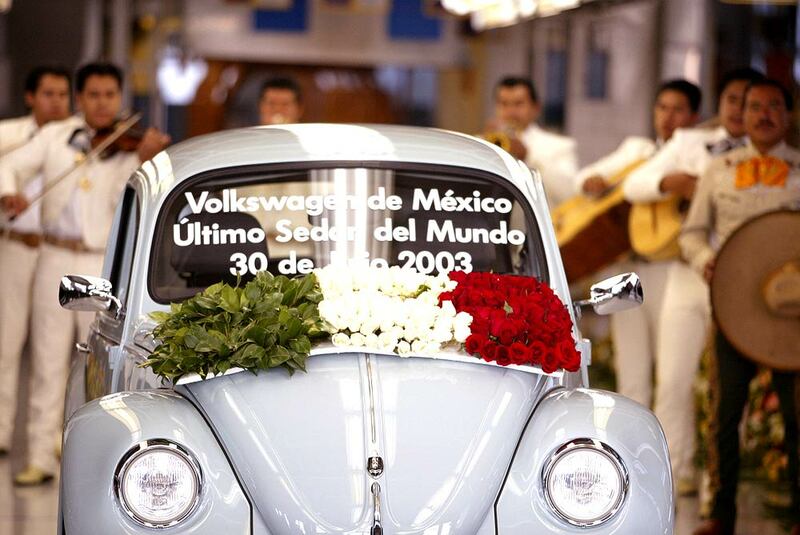 The very last VW Beetle is decorated with a wreath of roses and a message on its windscreen which reads 'Volkswagen of Mexico last Sedan in the World, 30th July 2003' in Spanish as it rolls off the production line at VW's Puebla plant on July 30, 2003. Mexican traditional Mariachi musicians serenaded the final Beetle as it rolled off the Puebla production line after 58 years of production, and almost 70 years since its conception.